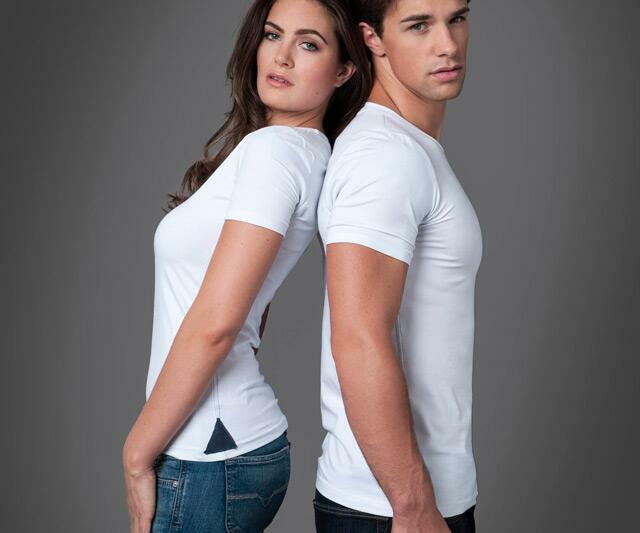 Up T-shirts award "dream posture" to both men and women with an integrated, flexible, extra-thin film woven into their fabrics at trigger points (shoulders, upper back) shown to encourage long spines, open chests, and shoulders down and back. With about 10 long and short sleeve styles to choose from, the French-designed shirts aim to deliver their effect comfortably and fashionably. Not, however, cheaply. At about $175 apiece, Up T-shirts could be considered slightly vain and indulgent. Also, a shirt that nags you not to slouch the whole time you're wearing it? I have a mama to do that. OK, you know how when you see a hot girl but she's wearing a neck brace she kind of loses her appeal? I feel the same way about girls who wear those stretchy Ace bandage-looking harnesses around their backs to right their shoulders and set better posture. It's not even the trickery of it that bothers me so much...though it is a little disappointing to discover she would not have been able to stand up that straight on her own...but more the hideous look of the things and the implied infirmness of their wearers. Plus, by the time I discover these posture correctors I'm at least in her living room, 2 layers in, so extracting myself from the situation becomes way more difficult than just never talking to the girl in the neck brace in the first place. You know? You don't know? What, no one has ever unexpectedly discovered himself in the throes of passion with a hunchback in a posture helper? Come on, this has happened to me at least 6 times! 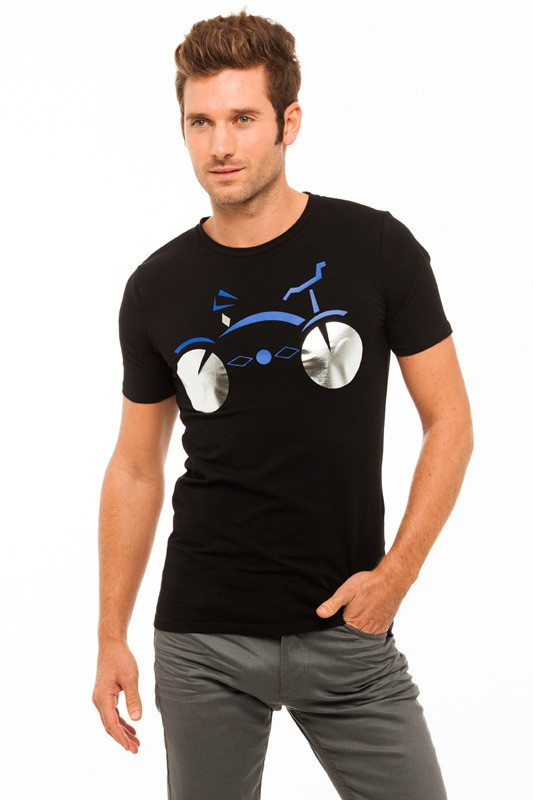 Up T-shirt technology is based on a "double-8-shaped" physical elastic resistance. The patented web weaves through the shirt's upper back and around its shoulders in the shape of two "8s", with an anchor on each upper arm. This promotes straight shoulder alignment by applying a gentle, physical pressure if one or the other strays. The Up T-shirt's resistance is deliberately light so as to ensure posture adjustments are controlled by the wearer's muscles, not the shirt itself. This prevents people from inadvertently using Up as a crutch and, in turn, weakening their back muscles. 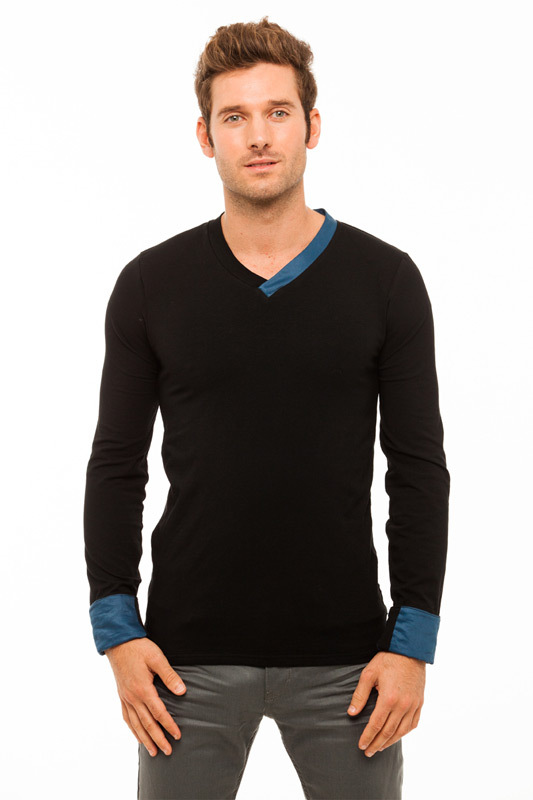 Aside from their posture-poking materials, Up T-shirts are made predominantly of cotton.